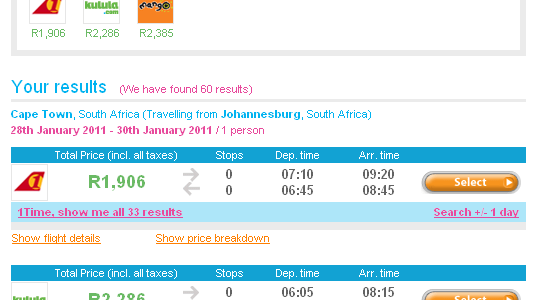 We talked previously of how much money you could save using the mix `n match feature on our mobile flight bookings site. We’ve been doing our research and found some real-life examples of huge savings enjoyed by those using the new technology on m.travelstart.co.za. Domestic return tickets in South Africa work on a principal of two one way tickets combined. Sometimes, especially closer to the date of departure, cheaper seats on one of the flights (either going out or coming back) sell out on that airline meaning you pay more to be on that flight. But that doesn’t mean that there won’t be cheaper seats on another airline for the same date. Up until now you weren’t able to utilise the cheapest flight going out on one airline and then the cheapest flight coming back on another – you had to simply book the same airline going there and back, paying their lowest fee. 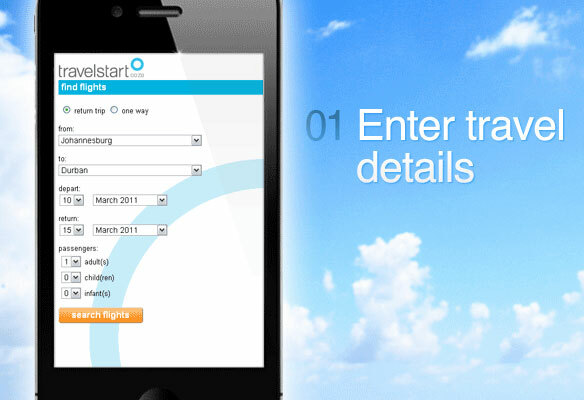 The Travelstart mobile site allows you to mix and match the very cheapest flight on different airlines, in one booking making sure you are booked on the cheapest flights possible! 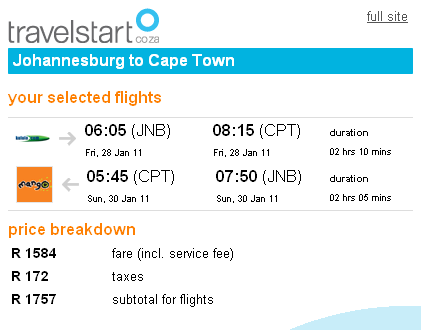 Take this example where return flights from Joburg to Cape Town for the weekend using just one airline would have cost R1906 including taxes. 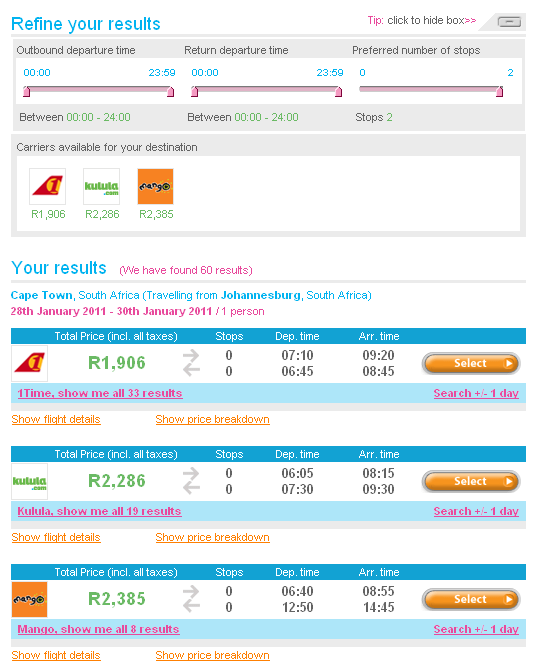 The mobile site was able to mix and match two different airlines to find an even lower priced ticket at a much cheaper R1757! That’s a saving of R149 which will come in handy for an extra meal out on the town or a few cocktails at Camps Bay in Cape Town! Make sure you find the cheapest flights on your phone! I love this feature. PLEASE introduce it on the main booking engine as well. you’ve got the world in your pocket. !